Life begins at conception. That is also the point when nutrition starts to matter. What a pregnant mum consumes right from the time of conception is said to influence her baby’s health. Beyond conception, the first two years of a child’s life is also said to make or mar so many things in the child’s later life. 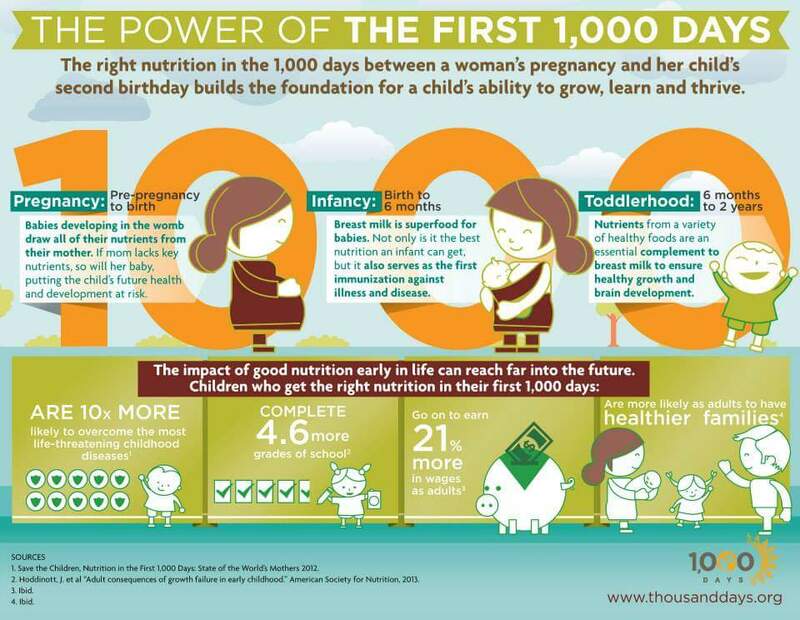 Thus different child health and nutrition advocates champion the first 1000-days cause. 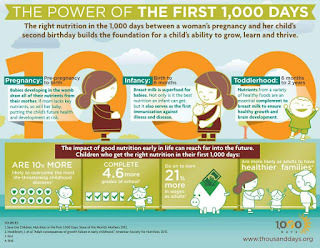 The first 1000-days of a child’s life in this context means from conception to the child’s second birthday. It is said to influence so many things in the child’s later life; height, strength of the child’s immune system, IQ, risk of diseases like diabetes and cardiovascular diseases as well as a country’s GDP. Investing in a child’s health should begin from conception. During pregnancy, the baby depends on its mother for nutrients to fuel its rapidly growing and developing body system. Thus pregnant mothers are advised to consume foods rich in folic acid and iron which are important for the baby’s rapidly growing brain. A pregnant mother’s diet is also believed to influence a baby’s food preferences as taste buds and sense of smell are said to develop in the first trimester. A child’s lifelong health can be influenced by what its mother eats. Pregnant mums are advised to eat more of green vegetables, beans, cereals, red meat, poultry and fruits. After nutrition in pregnancy comes that of the first six months in a child’s life. Experts strongly recommend exclusive breastfeeding, that is feeding the baby on breast milk ALONE. At this point in a child’s life, breast milk provides all the hydration a child needs, water is therefore NOT NEEDED. The importance of giving a baby breast milk alone, part of which is discussed here, cannot be overemphasized; the duration of which experts suggest between 4 to 6 months after which breast milk alone cannot supply all the nutrients needed; Cereals, vegetables and some fruits can then be introduced. Research suggests children can take adult foods from about 12 months upwards. The emphasis is more on wholesome, fresh foods which we are so blessed to have in abundance in our part of the world. We need to cut down on the sugary snacks and drinks we give toddlers and teach them to snack on fruits. We are lucky to be blessed with a wide variety of fruits. 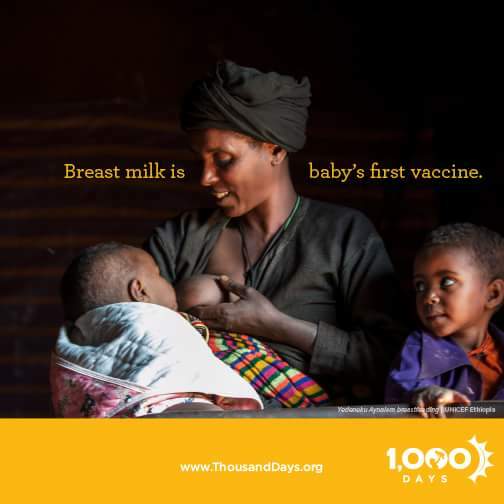 Children who get the right nutrition in their first 1000 days are said to be ten times more likely to overcome life-threatening diseases, fare better in school and live healthy adult lives. Poor nutrition is reported to be responsible for about half of all childhood deaths worldwide. Let us therefore make conscious effort to give our children a shot at healthy, fulfilling adult lives. Thanks Dear. We all should join hands in raising a healthy generation.